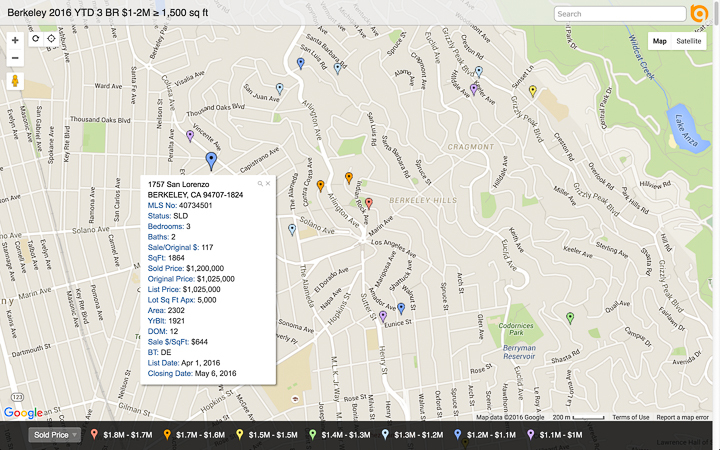 Let us know what’s important to you and we’ll show you the best neighborhoods to look in, then create a custom map based on your price, bedroom, size and neighborhood showing you all the homes you could have recently purchased meet all those criteria! Each of these homes met your criteria! Important factors are price range, bedrooms, neighborhood, condition and yard etc. We’ll show you which homes sold in the past 6 months which met those specs, map them, and prepare a detailed photo and market analysis report for you. This step shows you the homes you could have purchased, lets us review what you like or dislike about them, and helps us focus more finely upon your ideal home. You’ll usually be able to select form 2 or 3 homes each month. If there are only 1 or 2 homes each month, we can explore how adjusting your criteria increases the selection. Ask your co-workers about different commute options. It could be BART or casual car pool; AC Transit or Company Bus, Highway or Amtrak, or a combination of them – carpool to work, BART back home. This google map makes it easy. 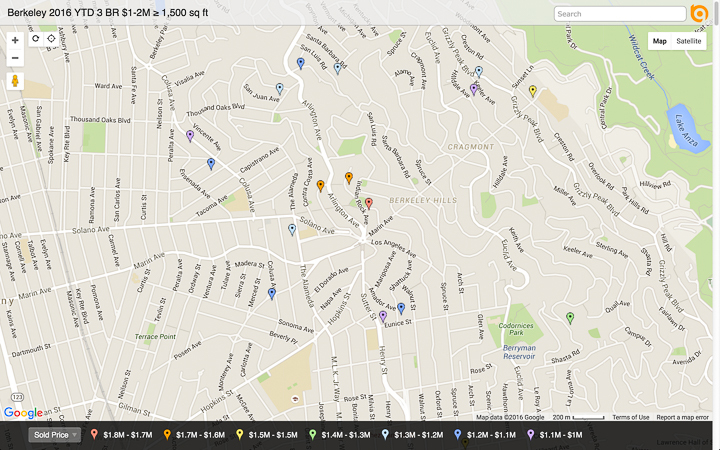 We programmed to to give give you directions to our Pacific Union office in North Berkeley. Change the destinations to be your job and one of your preferred neighborhoods, and “the google” will calculate commute times for you. We’ll want to move quickly when the ideal home comes on the market; the first step is to get loan pre-approval out of the way. We’ll refer you to excellent lenders. Be sure to tell them if you’re borrowing money from family or relocating from overseas … it can affect the pre-approval process and your closing date. We’ve know that sellers’ agents feel much more comfortable when we give them a loan pre-approval from a local lender rather than an online lender. In one case, the seller rejected our buyers’ offer because they were using an online lender. You may get a loan from any lender you wish; we simply recommend that you also have a pre-approval letter from a local lender. Most buyers search below their maximum price. Let us know your upper price range so we can be on the lookout for a great home which might be at a different price point. The City Transfer Taxes is typically split 50:50 between buyer and seller. The Berkeley Transfer Tax is 1.50% of the purchase price. or $15,000 for a $1,000,000 home. The buyer and seller each typically pay $7,500. Some buyers consider homes in these zones, others won’t. 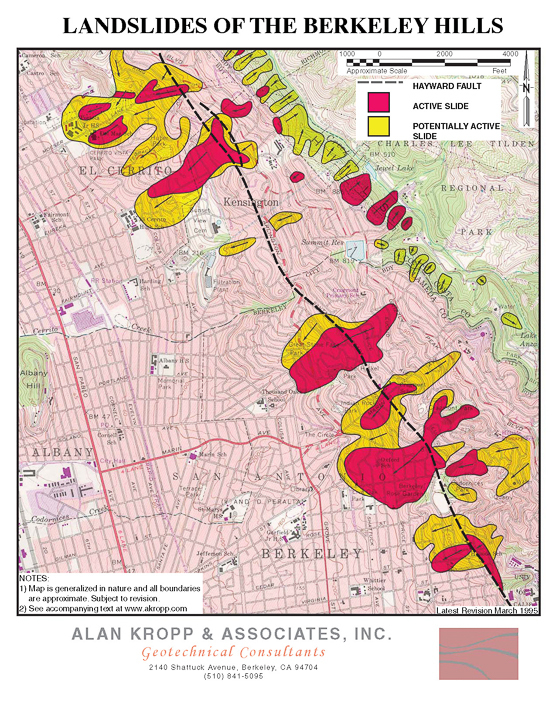 Alan Kropp and Associates created the Berkeley Hills Landslide Map showing Berkeley’s earthquake and slide zones. 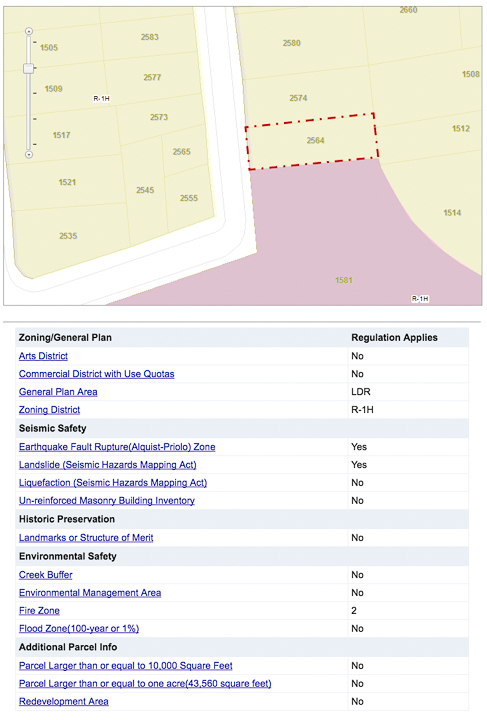 Berkeley’s Parcel Conditions and Permit History web page lets you easily find a home’s zones. Decide if you like to consult with your friends, family members, or financial advisors. We’ll keep them updated if you wish. Your attorney will advise of different ways to take title. If you want to own your home in a living trust, start the process early so the trust is in place in time for closing. Relocating From another state or country? If you’re using a local provider, consider adding, or switching to, a world-wide email account such as Gmail. Set up a free Skype account so we can do video calls with you. Our Skype handle is “serkes”. Sellers respond to personal notes from our buyers. I call this a “velcro” letter … having enough hooks in it so something “sticks” to the seller. Most buyers talk about themselves, their jobs, what brings them to the area, what they love about the neighborhood, etc. Once you’ve selected a home, It’s particularly important write about what you love about the it. The Boy Scouts had it right – Be Prepared … it’s the best way to start your home search.